Founded in 1928, Guntzvillers is a must-see destination in Northern Michigan for both residents and visitors alike. The Spirit of the Woods Museum is an interactive, educational experience for the whole family featuring professional diaramas of Michigan wildlife. Displays include a full-body Elk, Mountain Lion, Whitetail Deer, Bear, Waterfowl, Fish and much more. The Museum also has an impressive collection of Indian artifacts and antique fishing and hunting gear. Marvin Guntzviller’s love of the out of doors and wildlife led him to found Guntviller’s Taxidermy in southeastern Michigan. He passed this love on to his son, Voss, and taught him the art of taxidermy. The family moved the shop to Northern Michigan in the 1970's. Voss has continually expanded his skills learning the newest methods of creating the highest quality wildlife mounts that will last a lifetime. 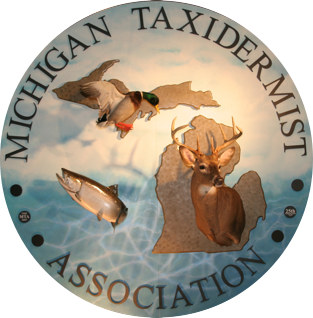 Voss is a member of the National Taxidermy Association and Michigan Taxidermy Association and Guntzviller's is licensed by State of Michigan and the U.S Fisheries and Wildlife Service. In addition to professional taxidermy services, Guntzviller’s offers a great variety of Northern Michigan inspired gifts, books, souvenirs and home decor items. Guntzviller’s is also an authorized dealer for Minnetonka Moccasins. Visitors can choose from Guntzvilller’s impressive selection of in-stock Minnetonka moccasins, fringe, sandals, shearling, boots, slippers, hats and accessories or can special order from Minnetonka’s full catalog.